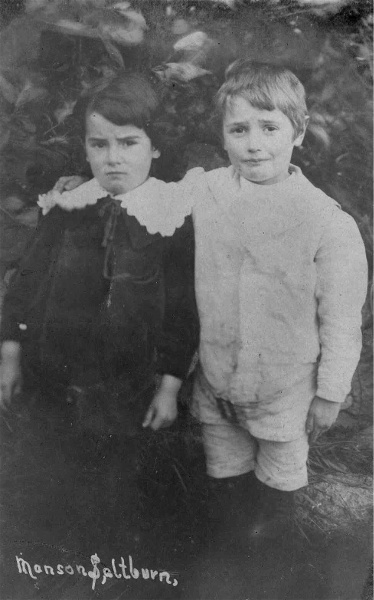 This photo is of two of my late great uncles, James (Jim) and Roderick (Roddy) MacLennan, brothers of my grandmother, Catherine Askew. The photo I think was taken at 'The Nurseries', Saltburn, which was owned and run as a nursery by their grandfather, William MacGregor. Jim was killed in his teens fighting in the Battle of the Marne, Soissons, France, in 1918 and Roddy died through ill health in 1961.